8. 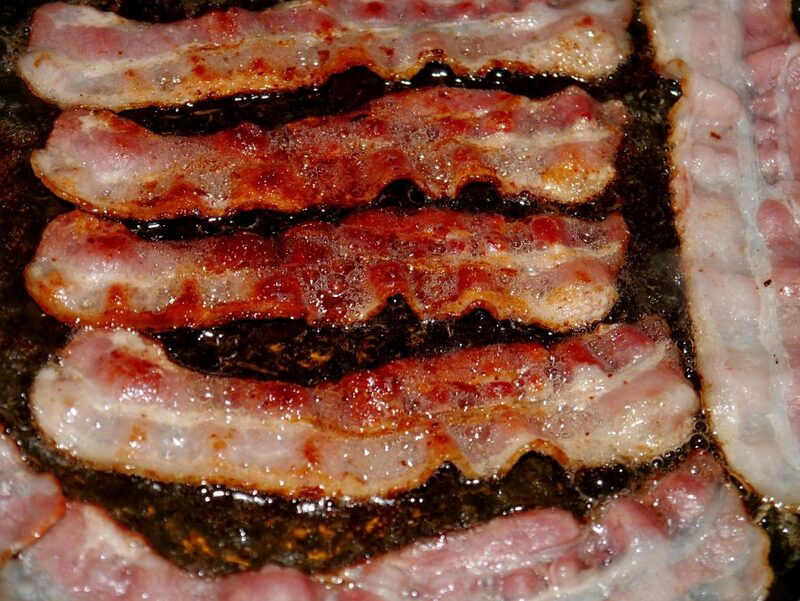 While the pastry is baking, cook the bacon in a skillet until mostly cooked, but not crispy. Chop into pieces.